How to add mixed numbers? We will look at two methods that can be used to add mixed numbers. 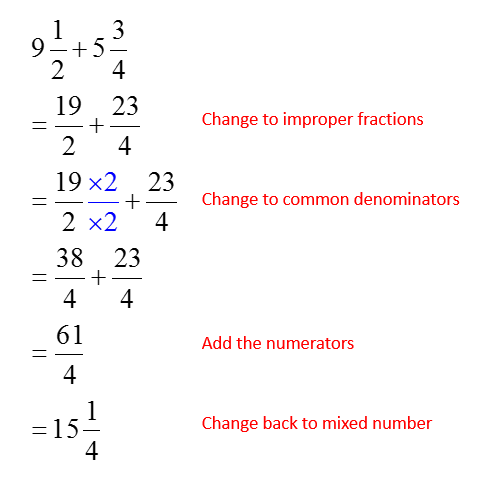 We can convert the mixed numbers to improper fractions and then add them as fractions. We can add the whole number part and the fractional part of the mixed numbers separately. 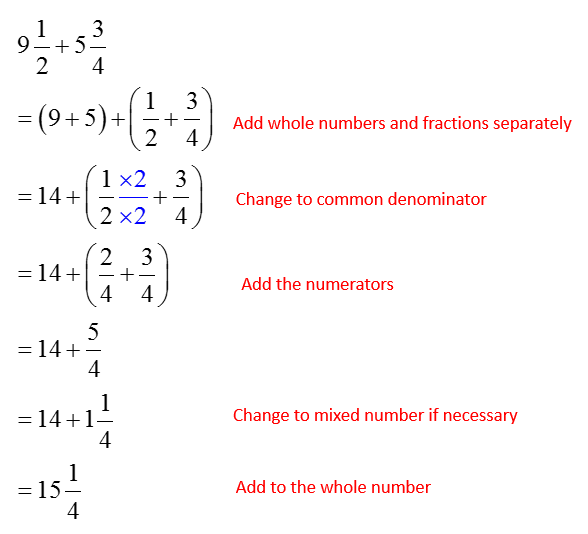 How to add mixed numbers with uncommon denominators?